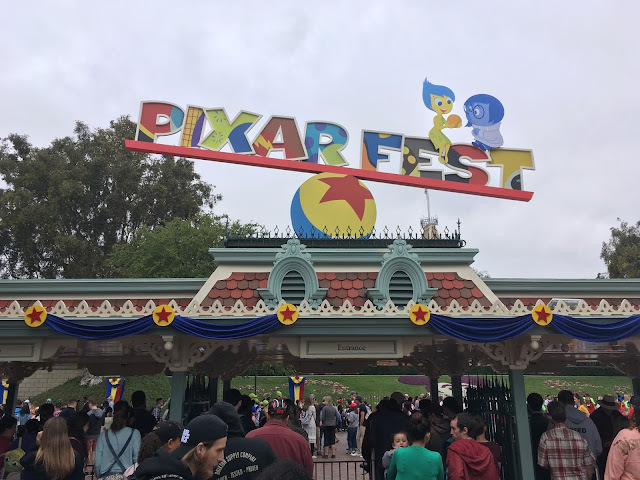 Disney California Adventure park has released new details on the upcoming Pixar Pier upgrade to the Paradise Pier section of the park. While the upcoming "Incredicoaster" (upgrade to the existing California Screamin' attraction) and "Lamplight Lounge" restaurant were already announced, few details were given on the rest of the new land until now. 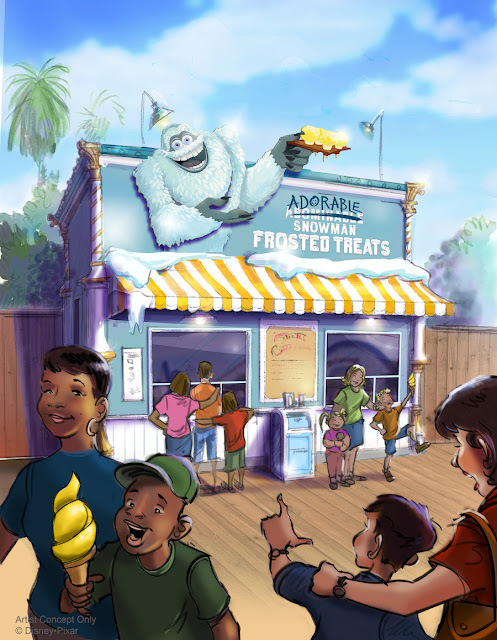 "Adorable Snowman Frosted Treats" will be a new dessert shop serving up various frozen treats. 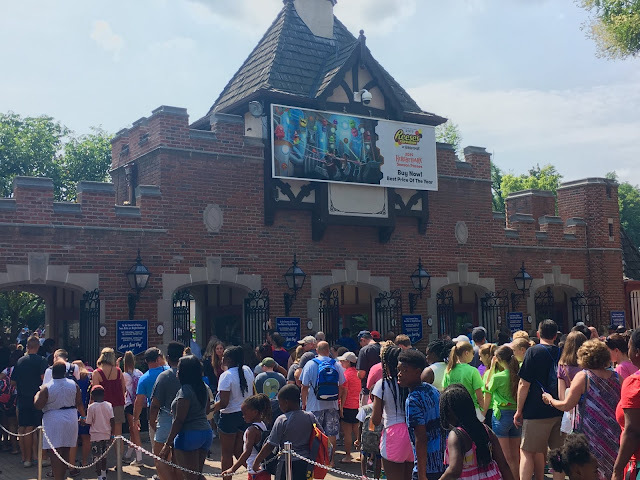 The theme is inspired by the Abominable Snowman character from the original "Monsters, Inc." film, and will be located on the pier near the northeast corner of the park. "Señor Buzz Churros" is desert stand inspired the Spanish-Mode version of Buzz Lightyear from Toy Story 3, and will serve the ever-popular Churro to passing guests. "Angry Dogs" will be a new mini-restaurant cooking up hot dogs and hot items. 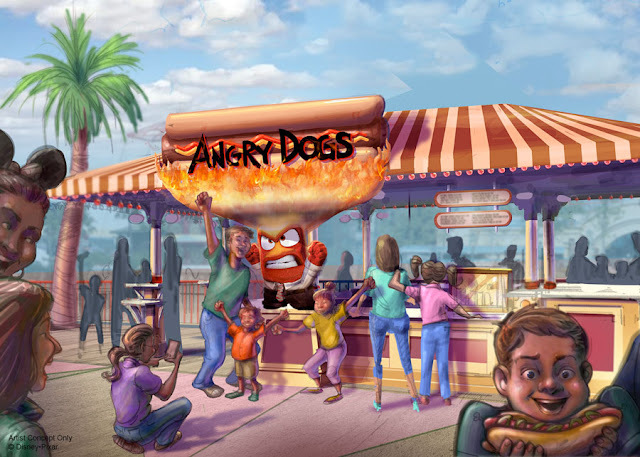 The "Anger" emotion character from the Pixar film "Inside Out" will take the helm here, and will likely be located in close approximation to the Inside Out section of Pixar Pier. 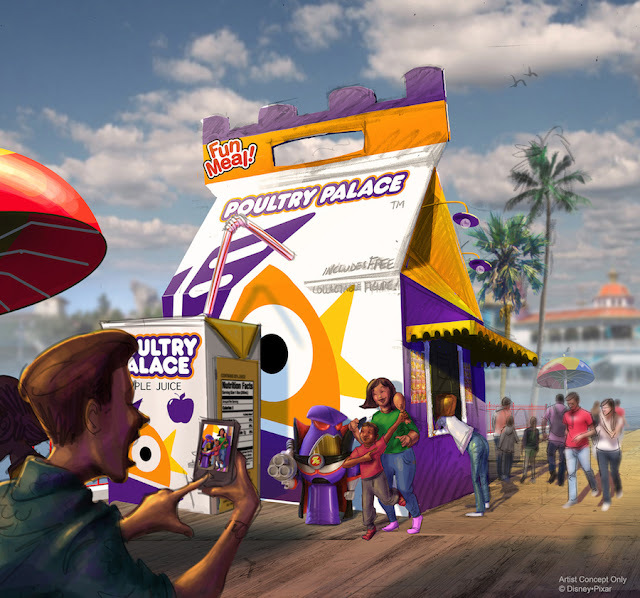 Nearby in the Toy Story neighborhood, "Poultry Palace" will serve fast-food style fare to hungry guests (Including a Fun Meal Zurg toy!). The stand is inspired by the "Toy Story Toon: Small Fry" short from Pixar. 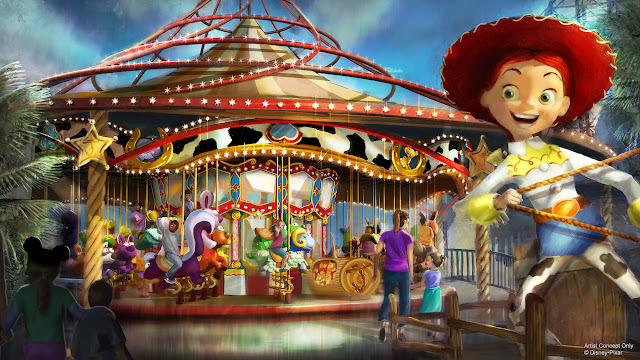 Finally, "Jessie's Critter Carousel" will be a new ride themed to "Jessie's Wilderness Friends" from the "Toy Story 2" film. The attraction will take over the existing King Triton Carousel, and will retain a classic boardwalk carousel feel. 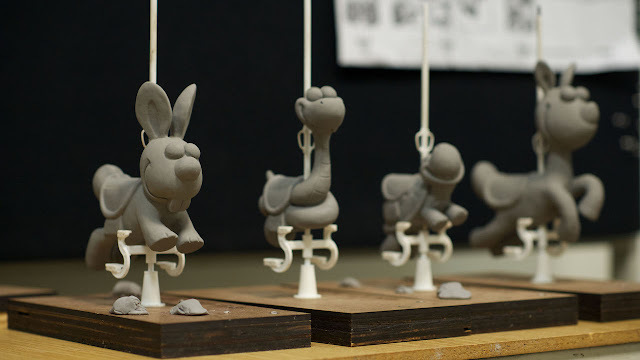 Guests will have 56 different animal characters to choose from, including an armadillo, bunny, raccoon, deer, and more. 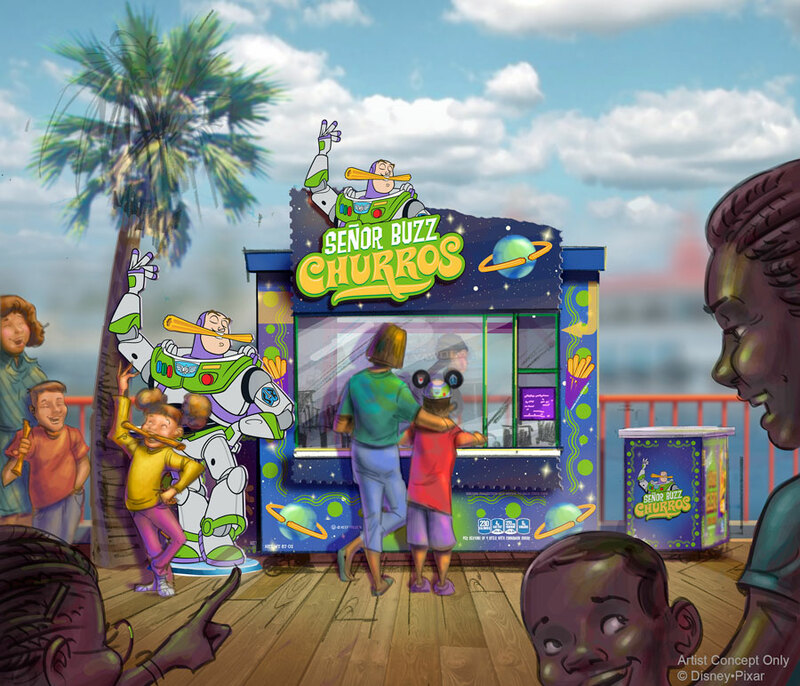 This attraction will open during Phase 2 in 2019, and will not be operational when the majority of Pixar Pier's rides and restaurants open on June 23, 2018. 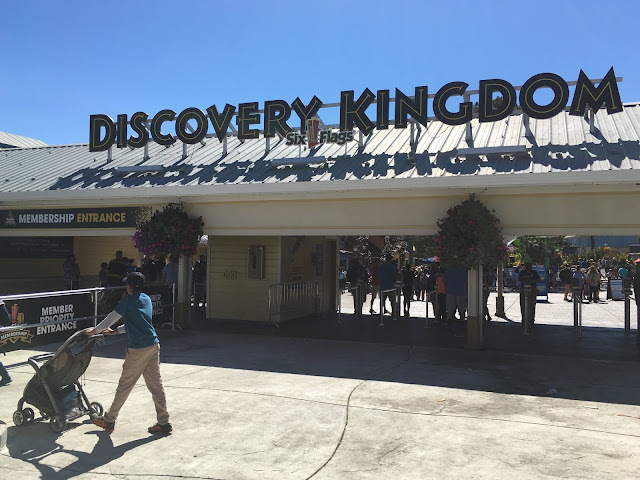 We can't wait to visit this new area of the park! That's all for now from Theme Park Overload! Make sure to "Like" our Facebook page to get Breaking News Updates and Exclusive Content from your favorite theme parks delivered straight to your inbox! Facebook.com/ThemeParkOverload My name's Nicholous, and Thanks for Reading!